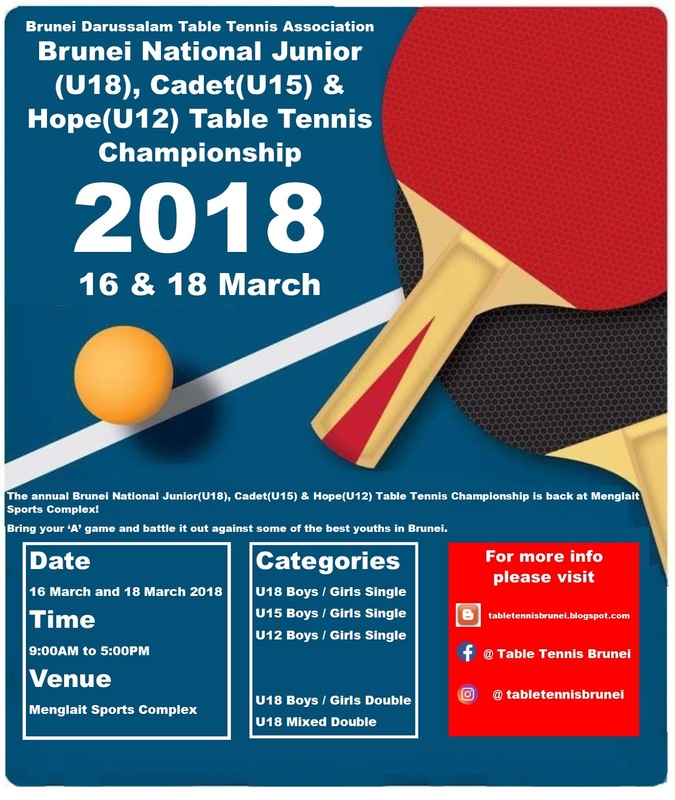 Follow us on social media Instagram and like our Facebook page for up to date information on everything table tennis in Brunei! 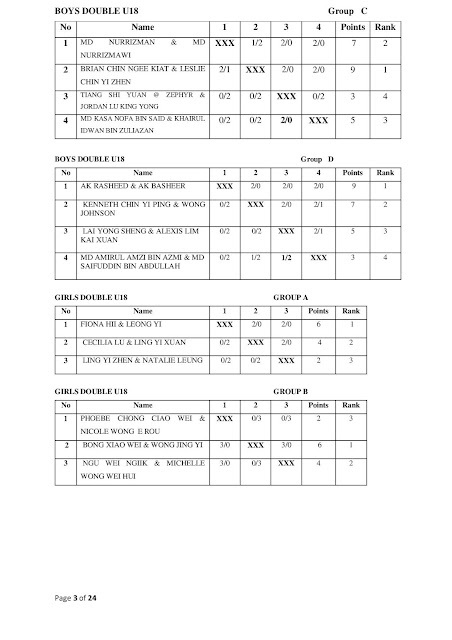 Click here to download full result. BRUNEI Darussalam national table tennis paddler Fiona Hii Wee Ting completed a clean sweep at the Brunei Darussalam Junior Table Tennis Competition 2018 after winning a hat-trick of titles in the girls’ under-18s singles, doubles and under-18s mixed doubles at the Menglait Sports Complex yesterday. 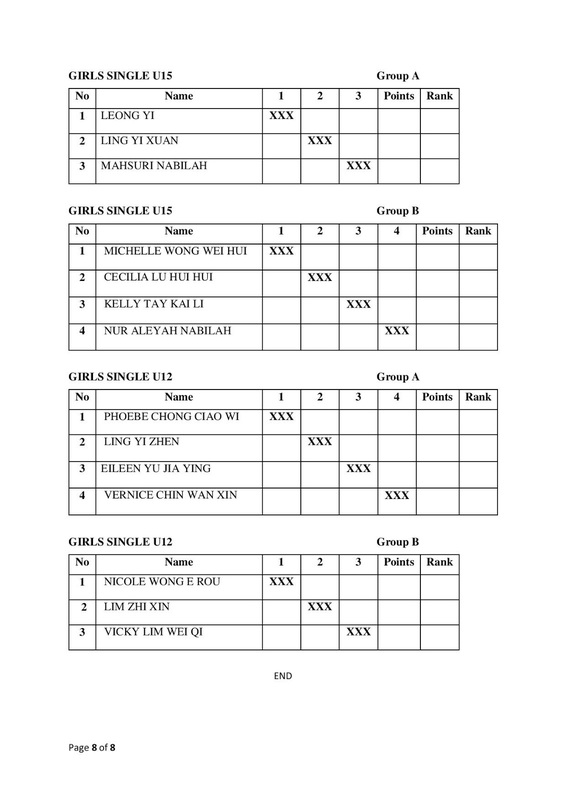 Fiona and her national teammate Leong Yi, both of whom who had represented the country at international level, were made to work by the pair of Bong Xiao Wei and Wong Jung Yi in the girls’ doubles final though they prevailed in a 7-11 15-13 11-3 12-10 victory. 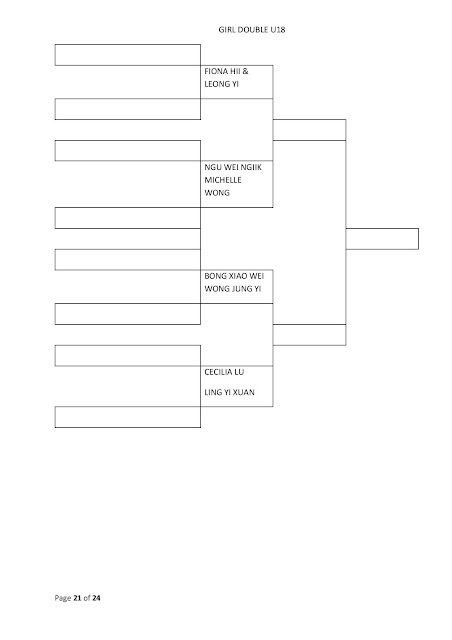 The girls’ singles was a more straightforward routine for Fiona as with her other national finals after making light work of Bong Xiao Wei in a straight-set 11-5 11-7 11-5 win. 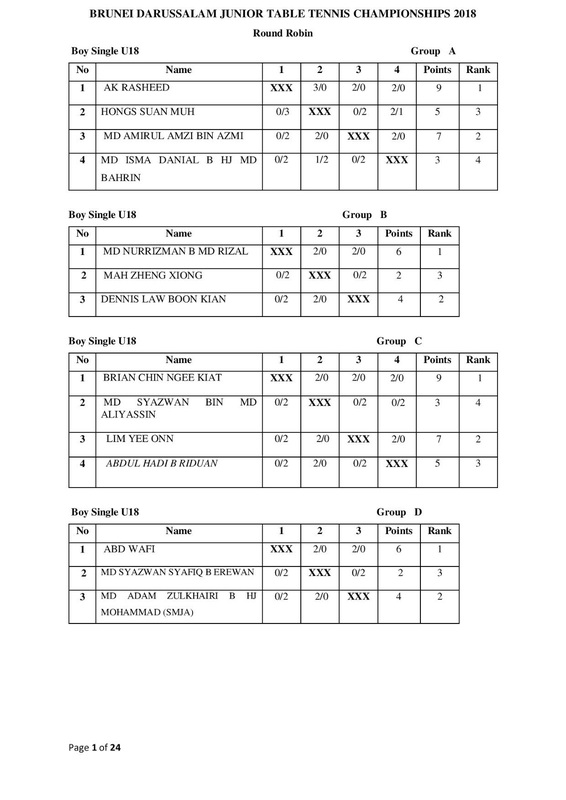 Fiona then formed a strong partnership with Abd Wafi Suhardi, this year’s boys’ under-18 singles winner, with the pair emerging victorious in a 12-10 8-11 12-10 win over Jason Koh and Hong Hui Qin, to complete her collection of titles. The national athlete, who has numerous titles including the lower age groups in the past, admitted that she did not reach her optimal level at the girls’ doubles. 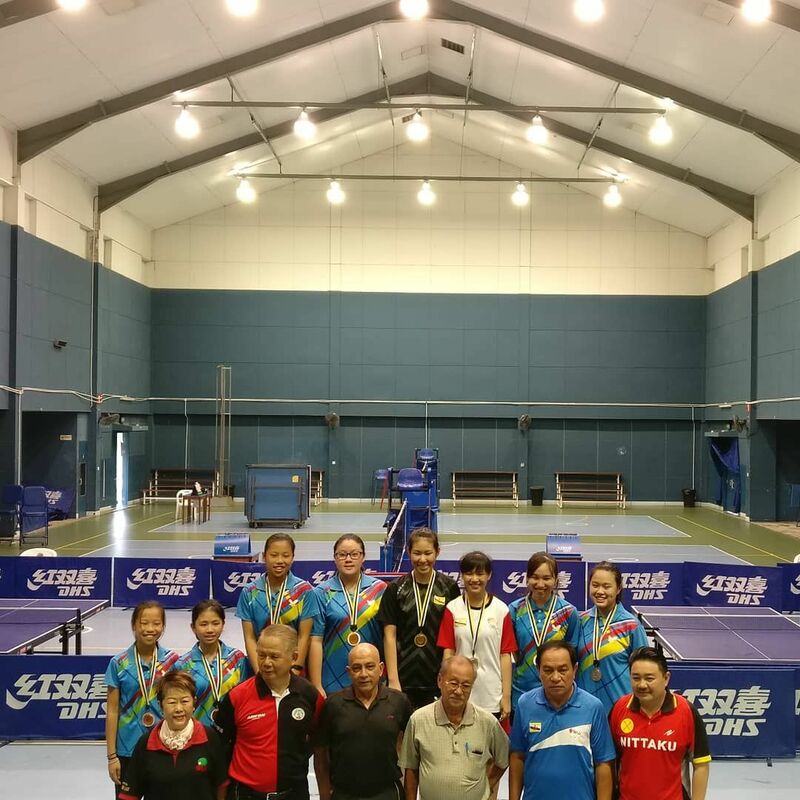 “I didn’t perform as well in the doubles’ but in the singles, it was a normal performance,” said Fiona in an interview with the Bulletin. Fiona, who started playing competitively at international level when she was 10, was also part of the national team that took part in the SEATTA competition. Awangku Md Sufi Fakrullah bin Pengiran Mohd Suffian beats his training partner and national teammate Awangku Basheer bin Pengiran Haji Mohd Noor in a pulsating affair coming out with an 11-7 3-11 12-14 13-11 11-7 win in the boys’ under-15s singles. 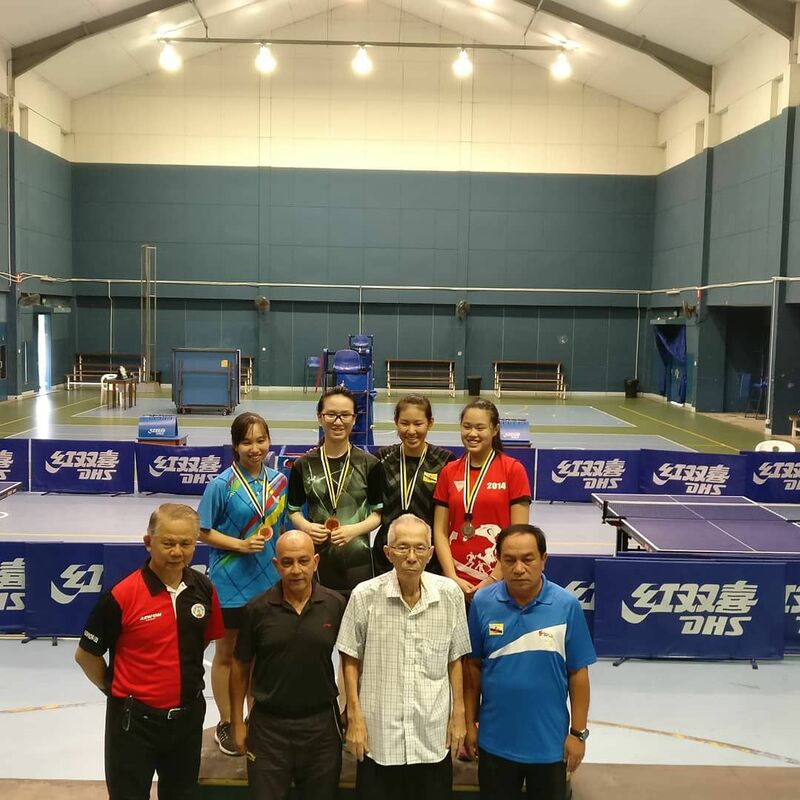 Leong Yi, one of the top female table tennis players in the country, stayed true to her reputation after clinching the girls’ under-15s title with an 11-6 6-11 12-10 11-1 win over Ling Yi Xuan. 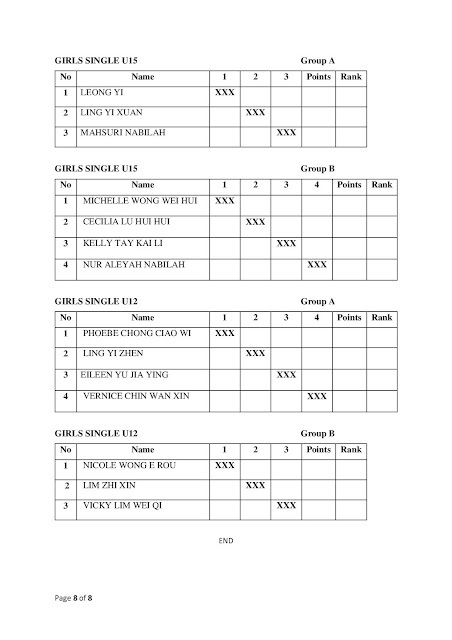 Low Guo Zhang defeated Chin Fong Bin 12-10 11-7 11-9 to win the boys’ under-12s crown while Ling Yi Zhen dispatched Phoebe Chong Ciao Wi 11-6 11-4 11-4 to win the girls’ under-12 final. 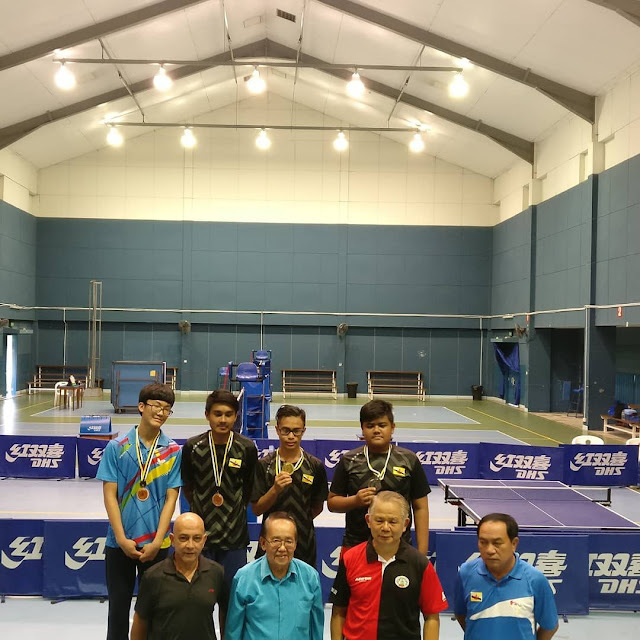 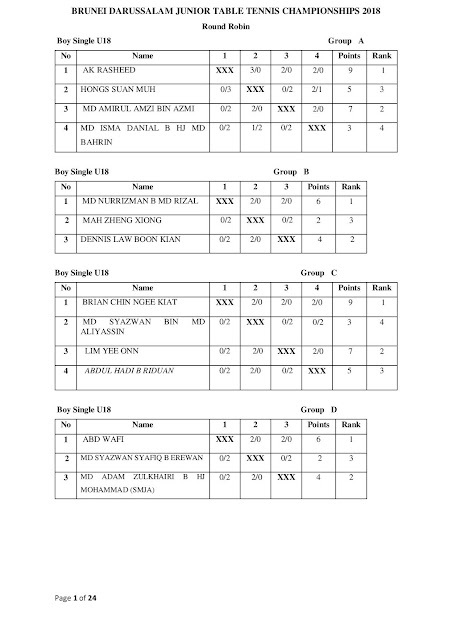 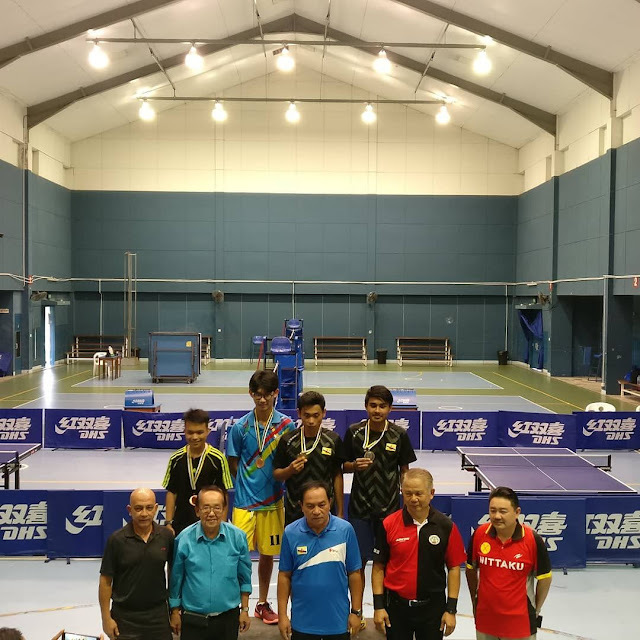 Awangku Rasheed and Awangku Basheer won the boys’ under-18s doubles after the pair of Jason Koh and Khairuddin Omar was forced to retire after Khairuddin was unable to complete the match. 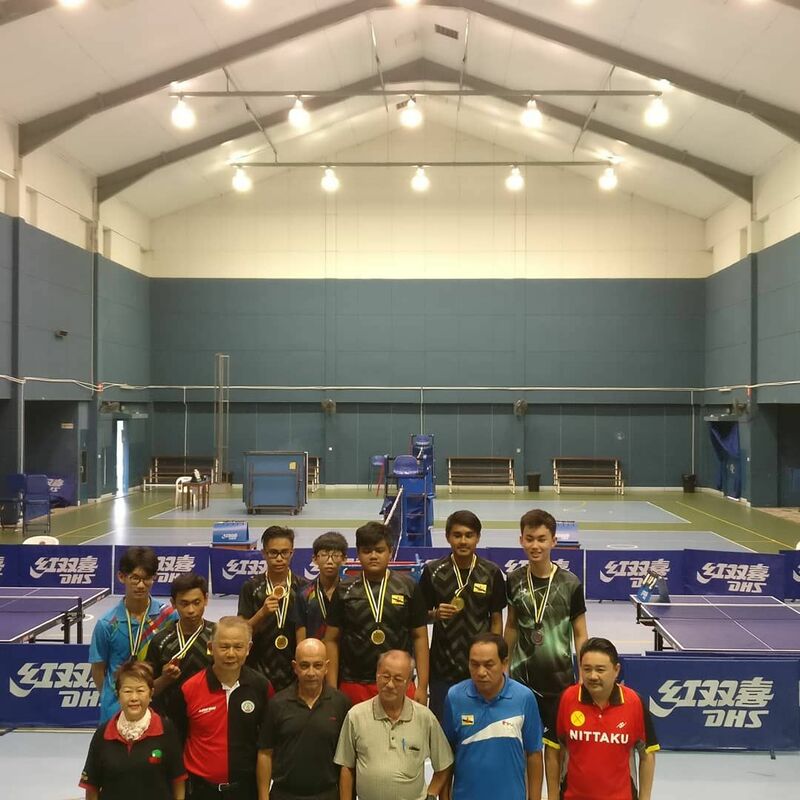 Awangku Rasheed and Awangku Basheer recovered from two sets down after losing 7-11 15-17 before winning the next two 11-6 11-8 to put them within sight of victory. 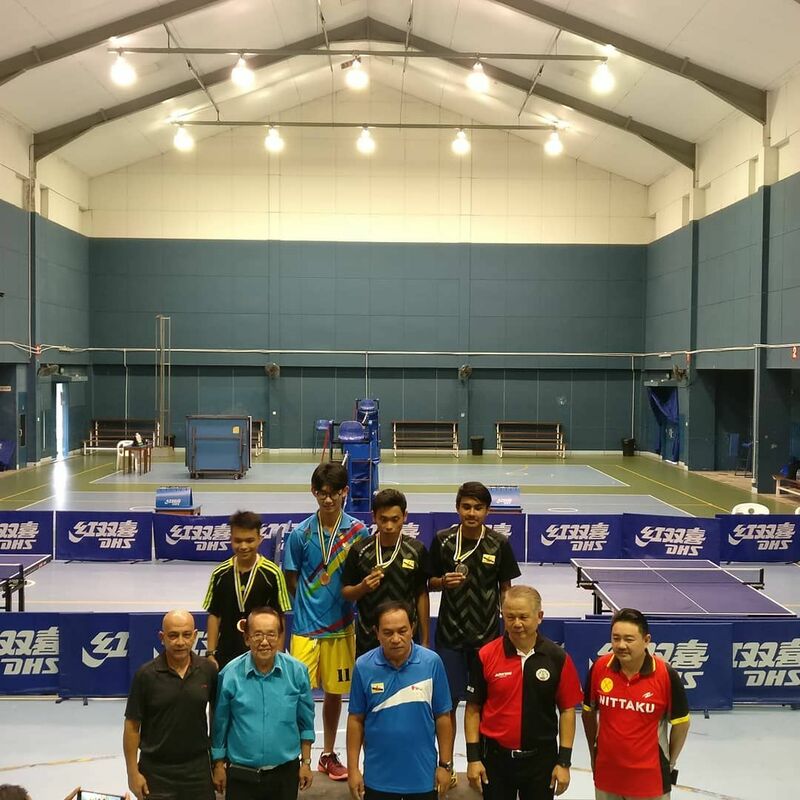 The duo was leading 10-8 in the deciding set when Khairuddin appeared to encounter complications. 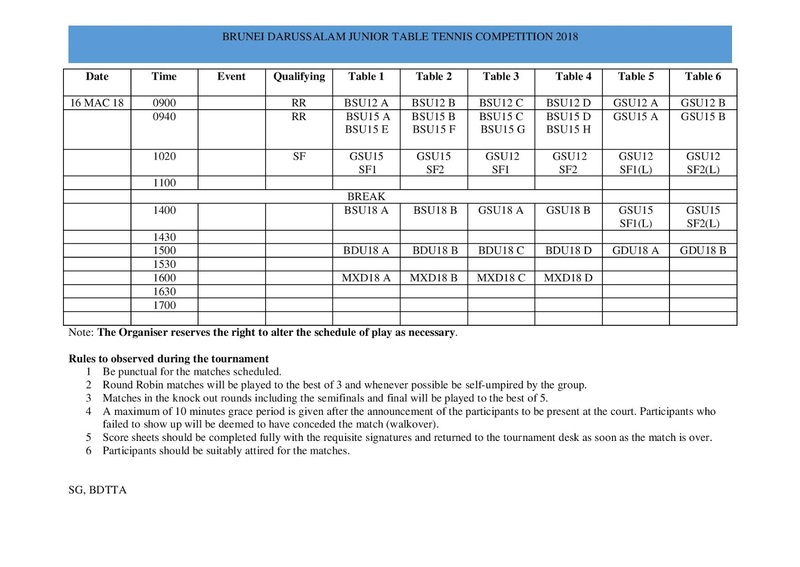 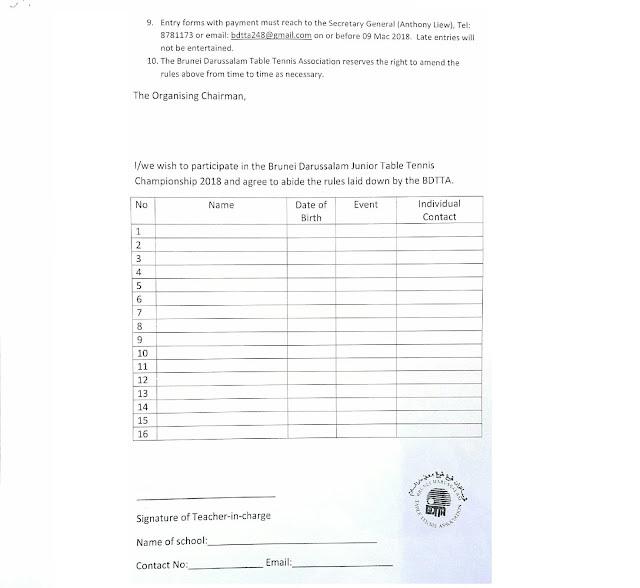 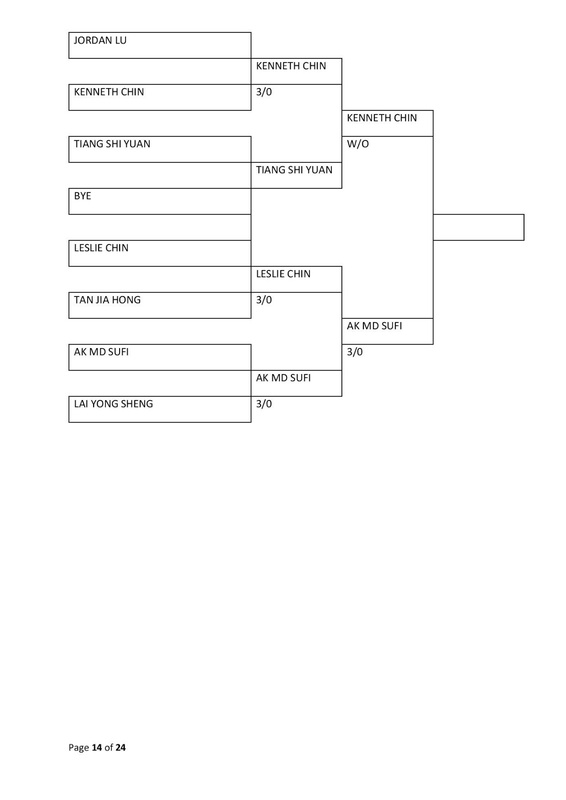 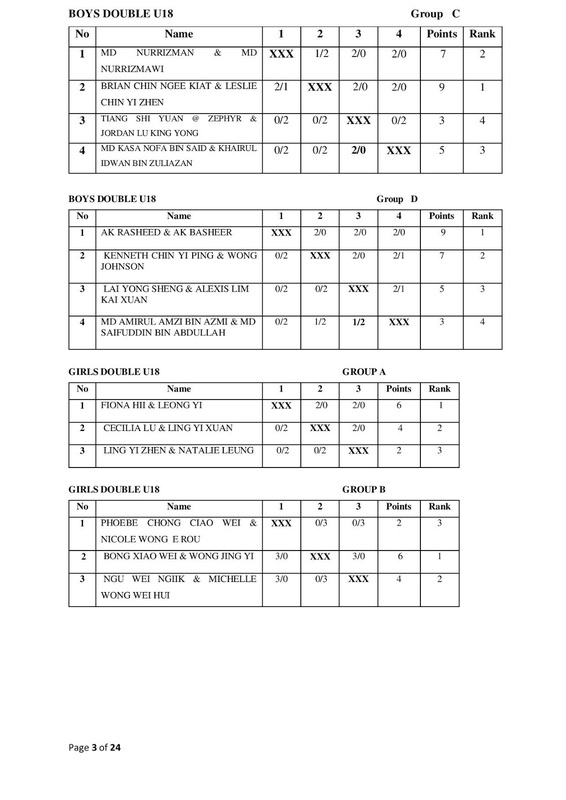 Click here to download Day 1(16 March 2018) Tournament schedule (PDF). 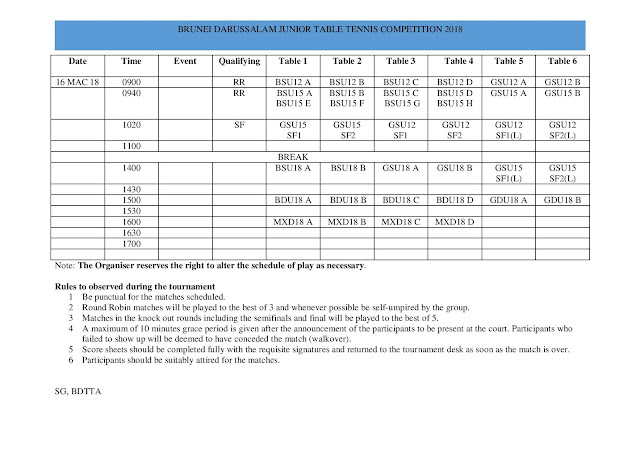 For Day 2(18 March 2018) tournament schedule, please standby. 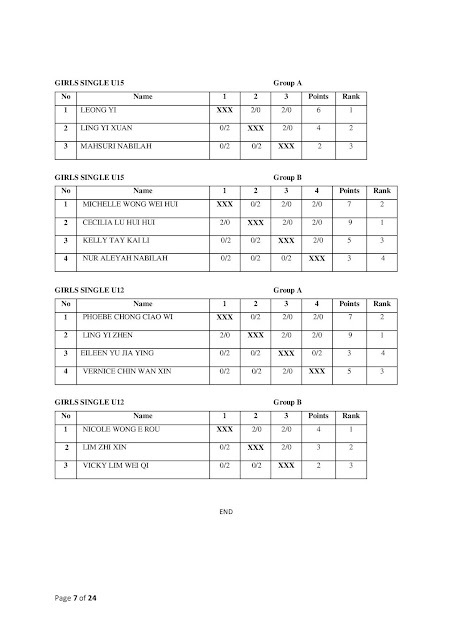 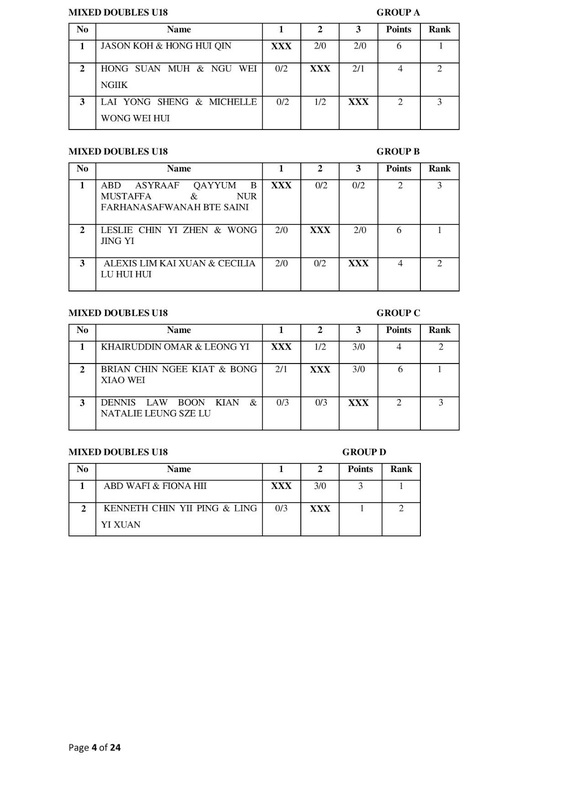 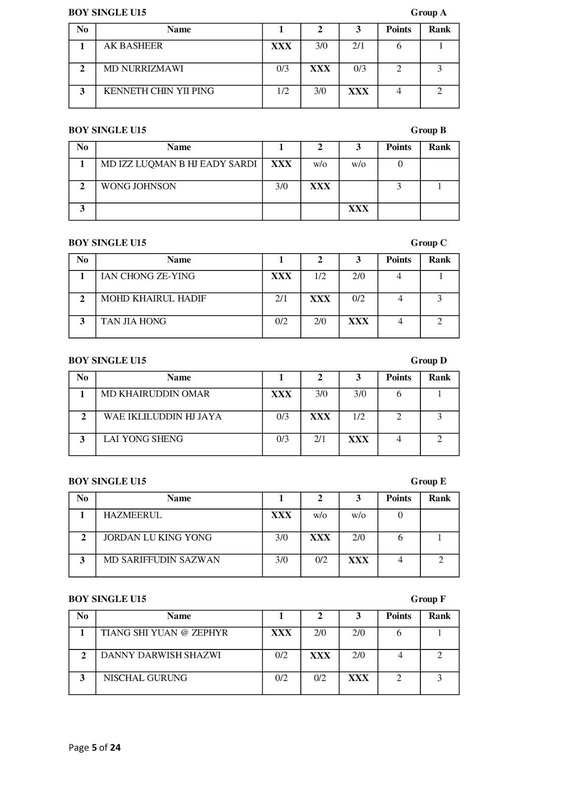 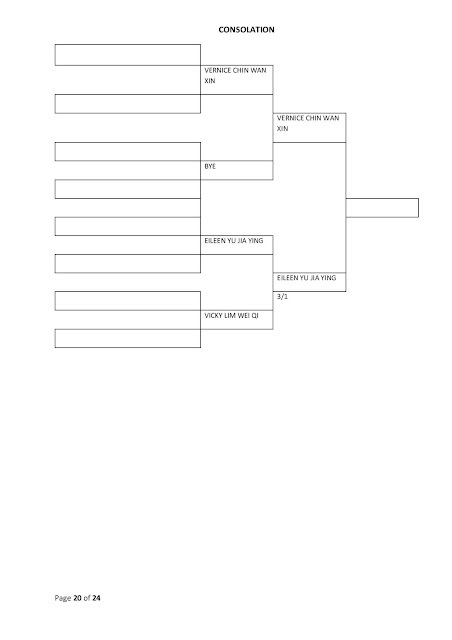 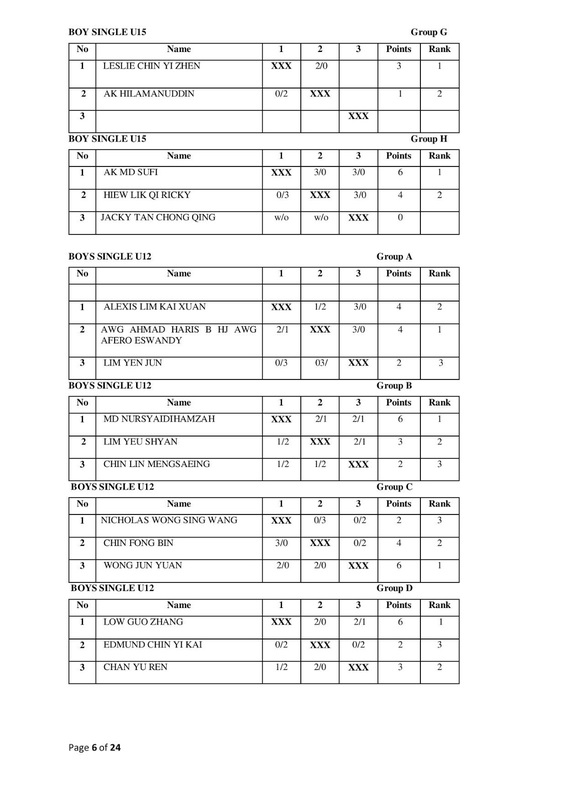 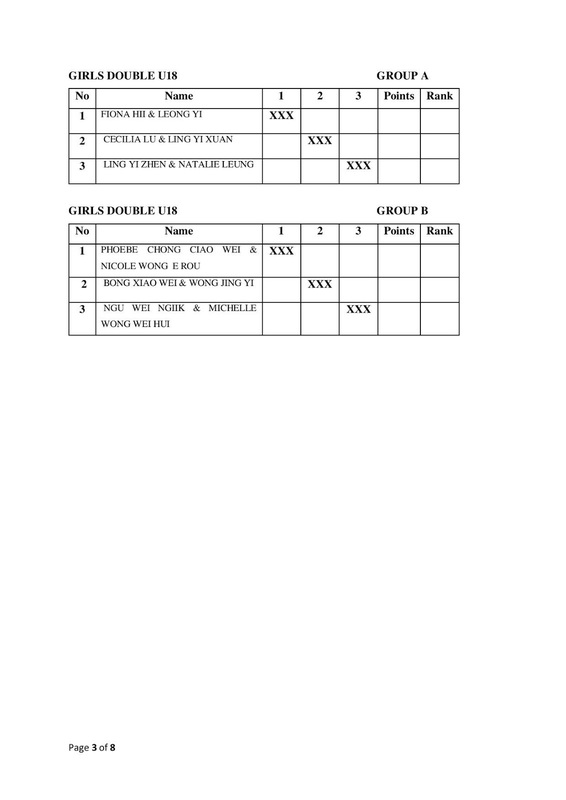 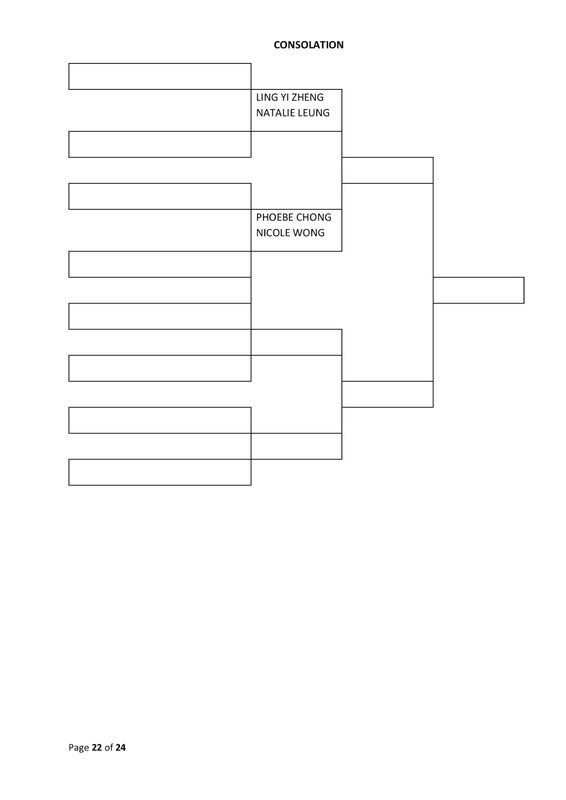 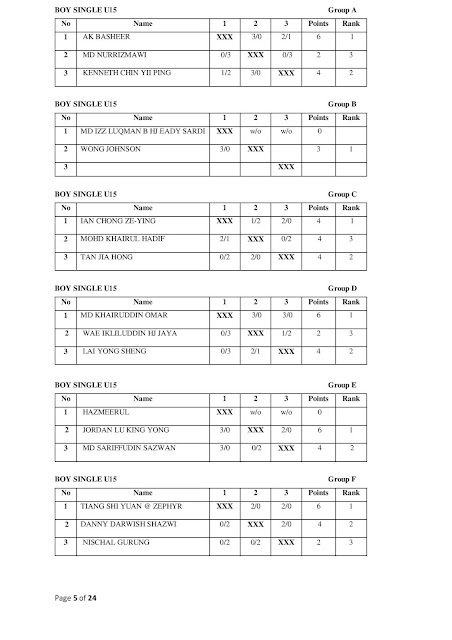 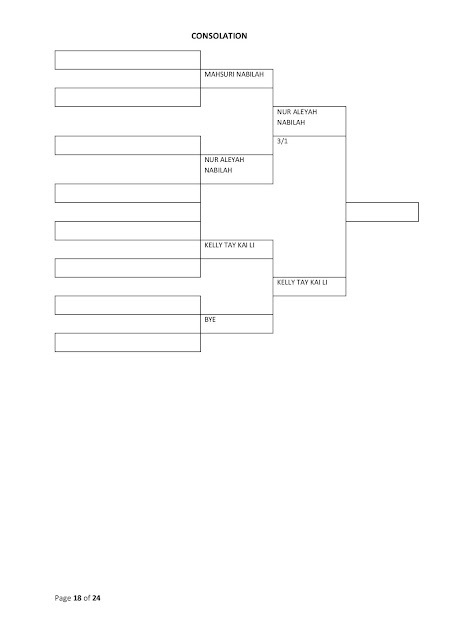 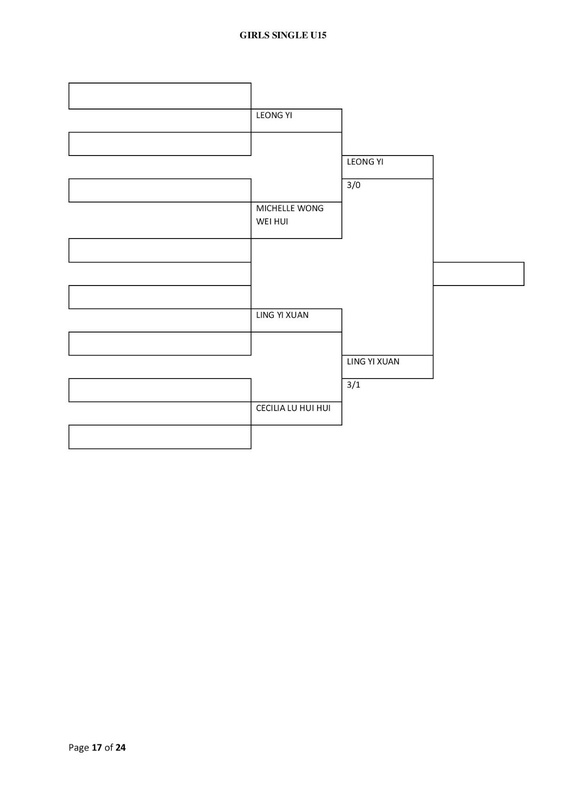 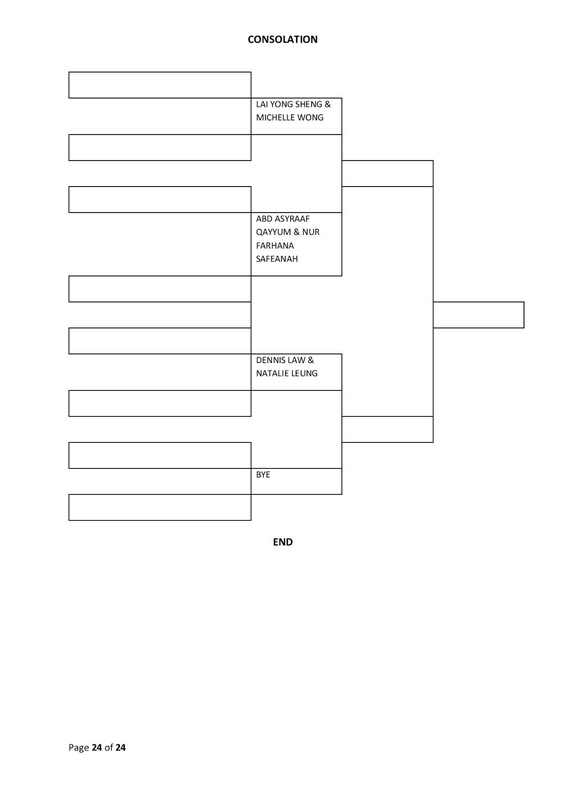 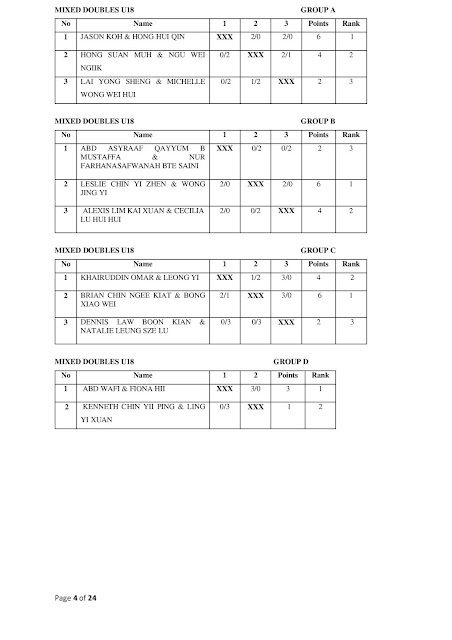 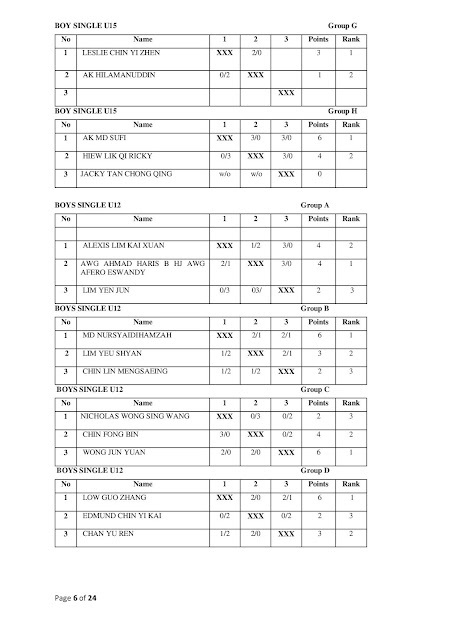 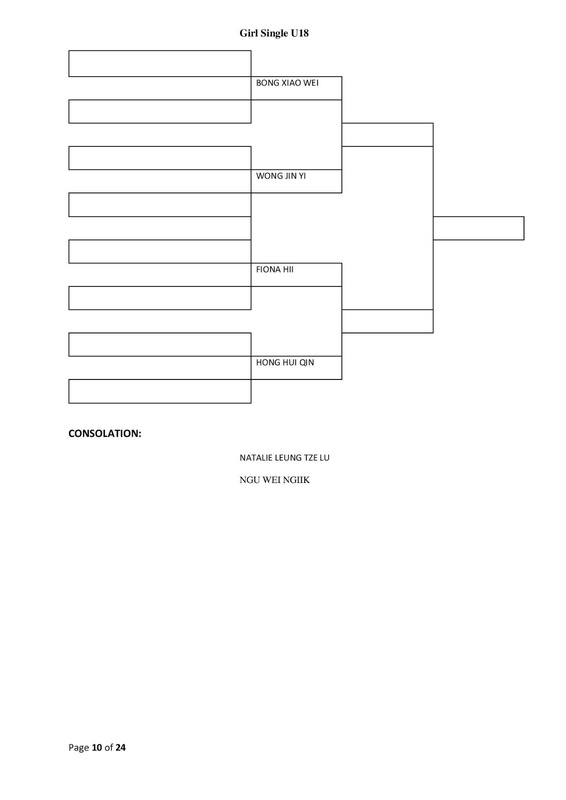 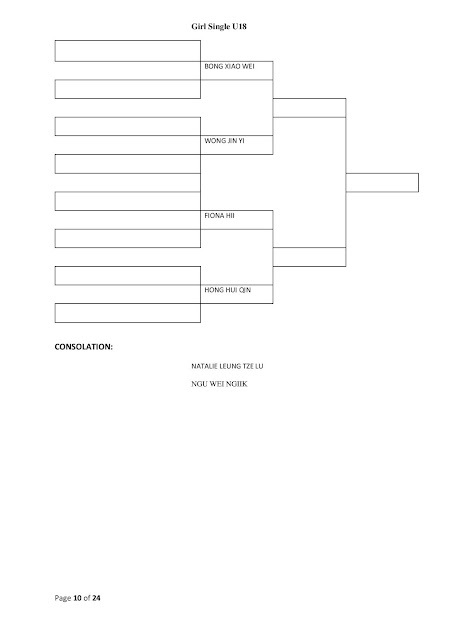 Click here to download Round Robin draw results (PDF). 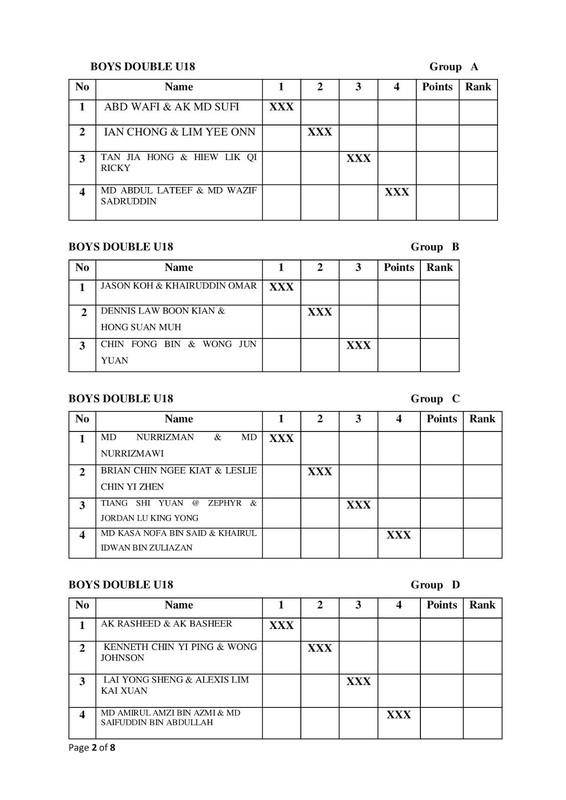 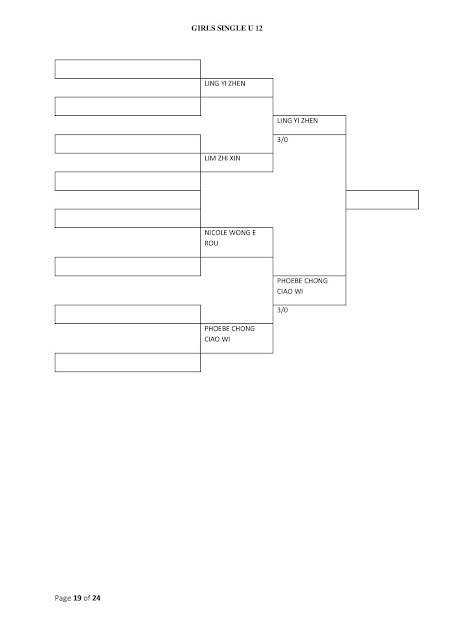 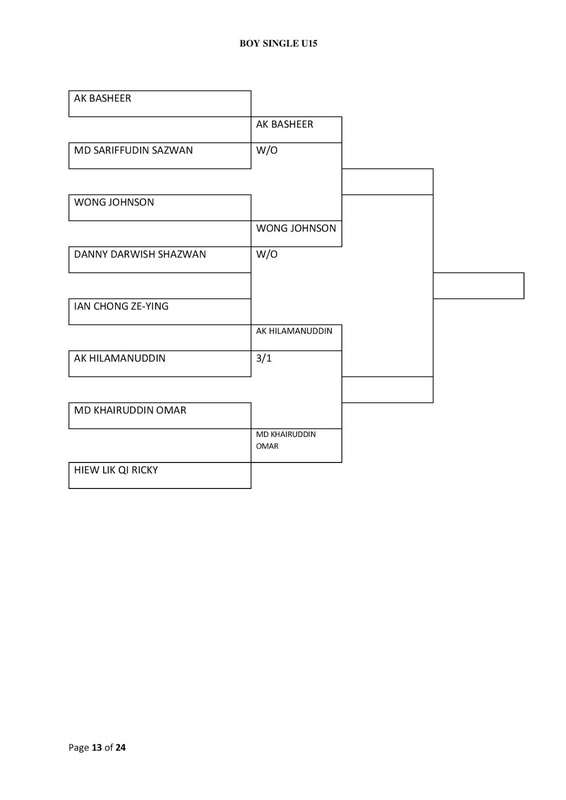 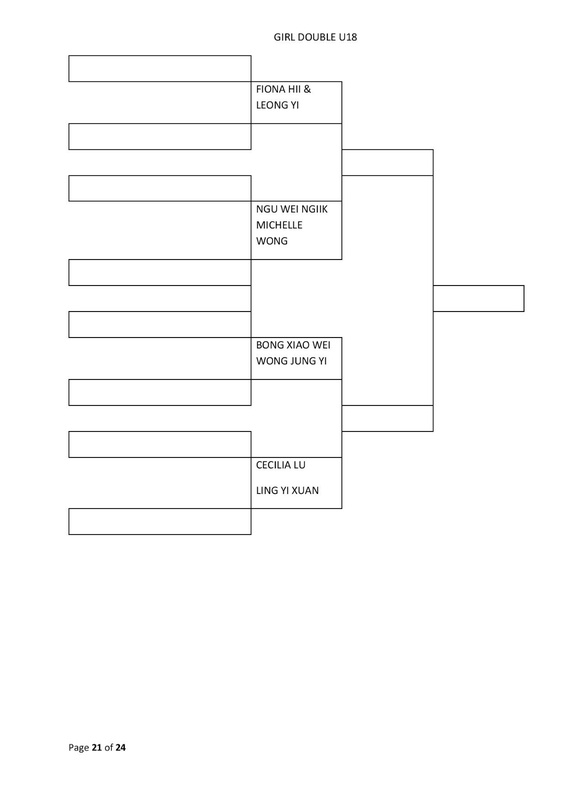 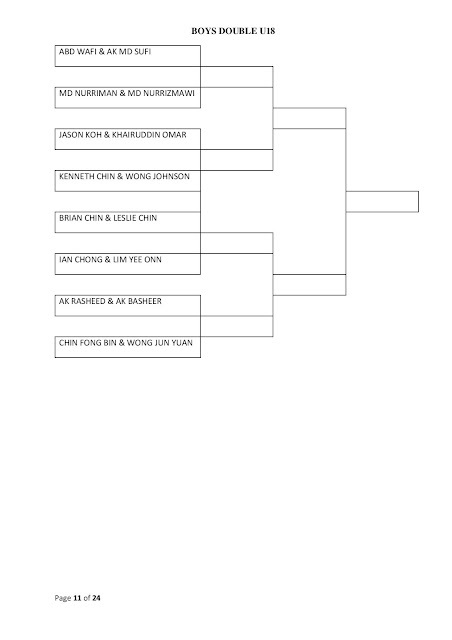 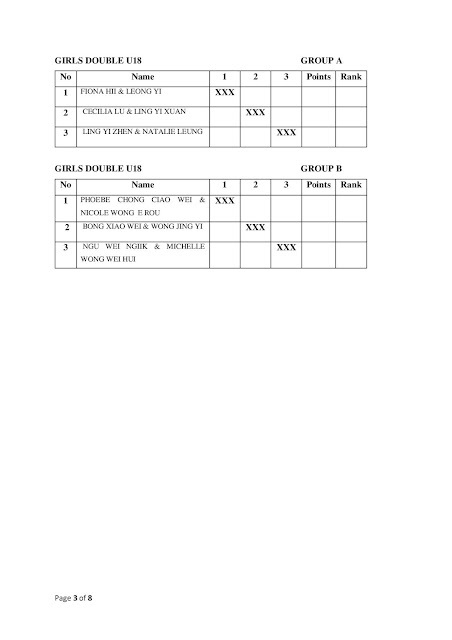 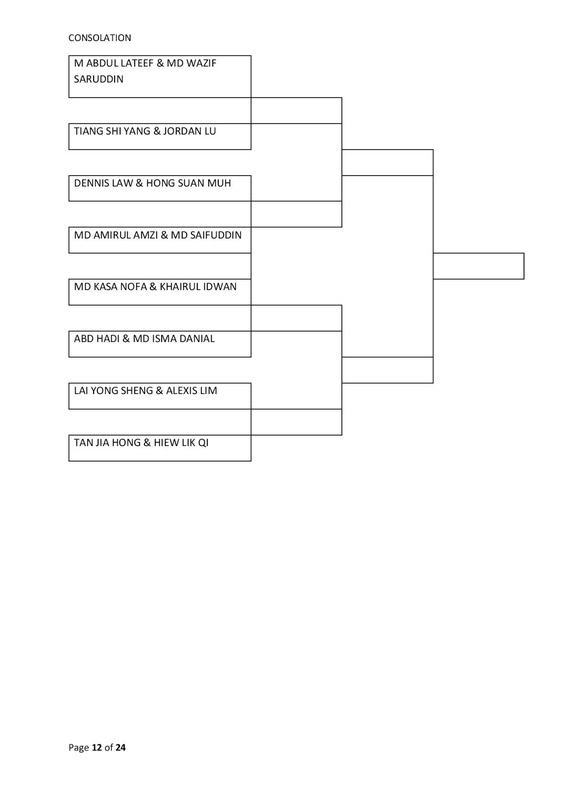 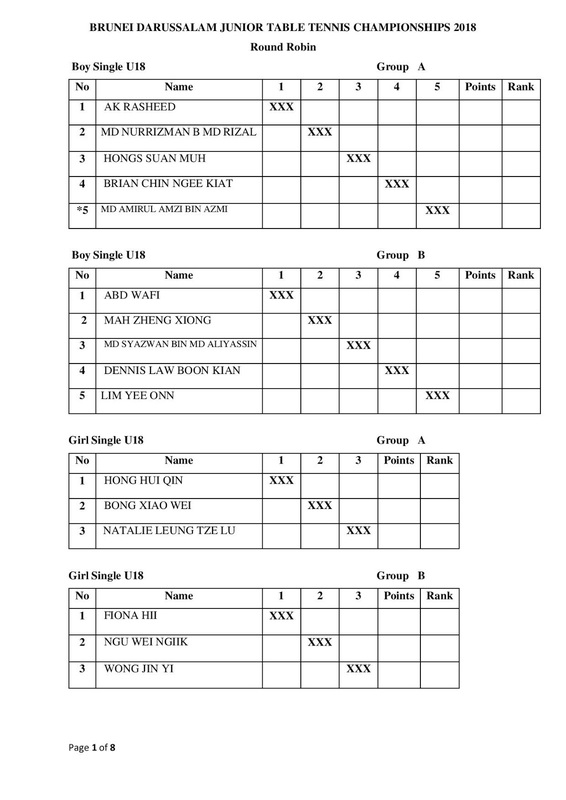 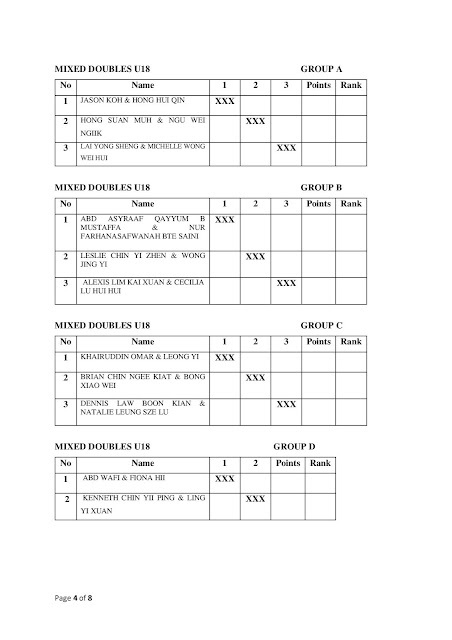 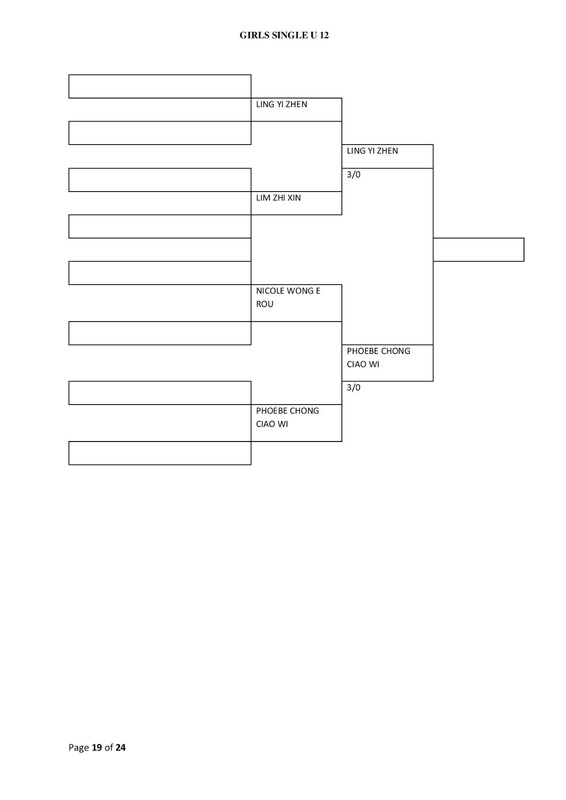 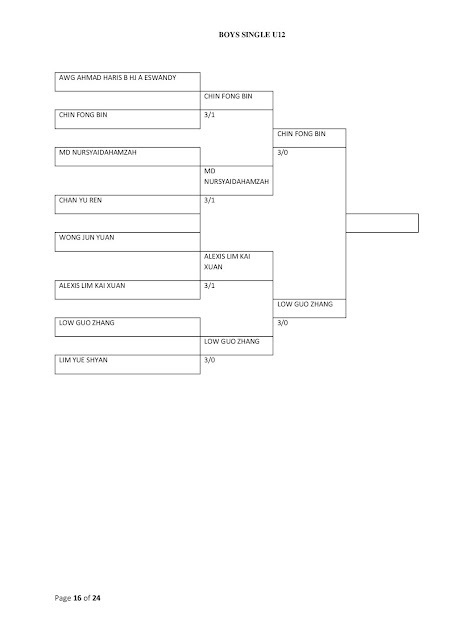 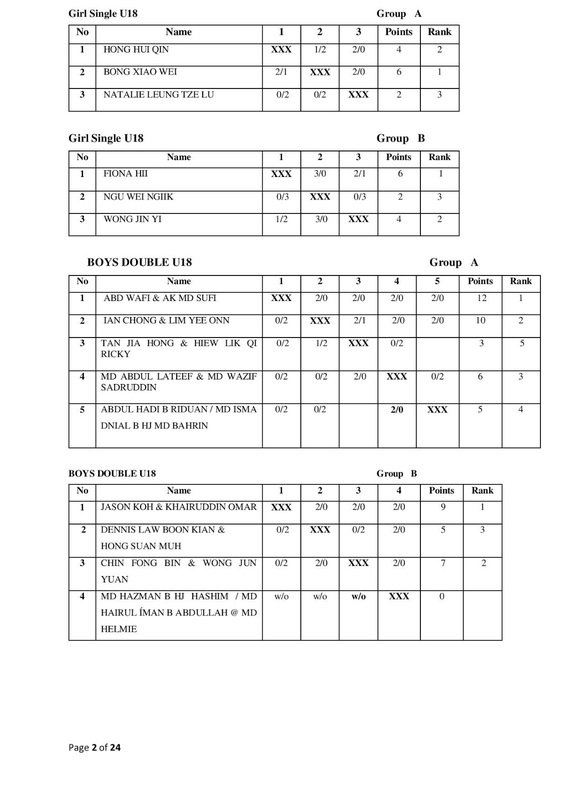 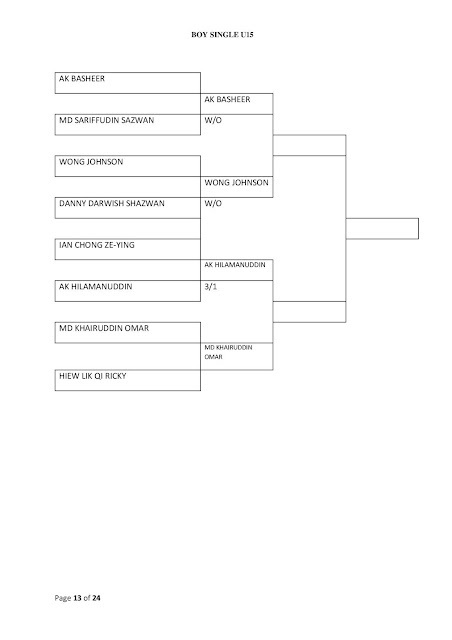 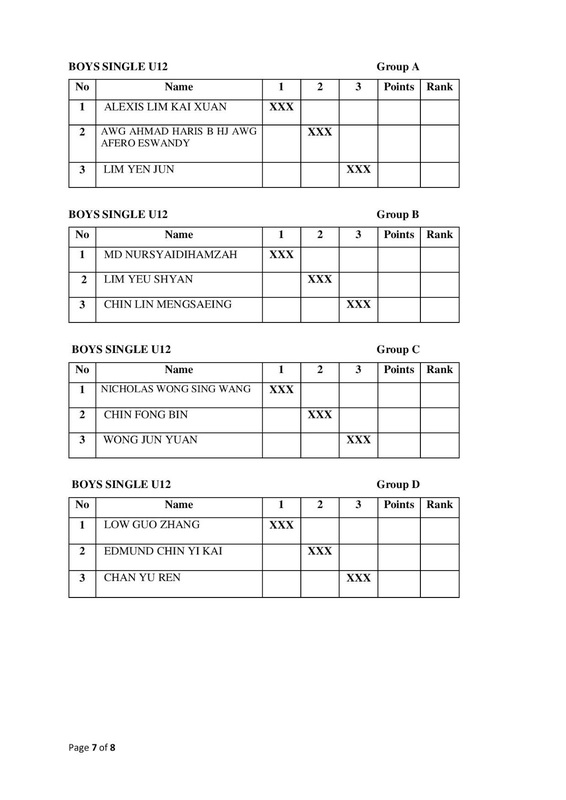 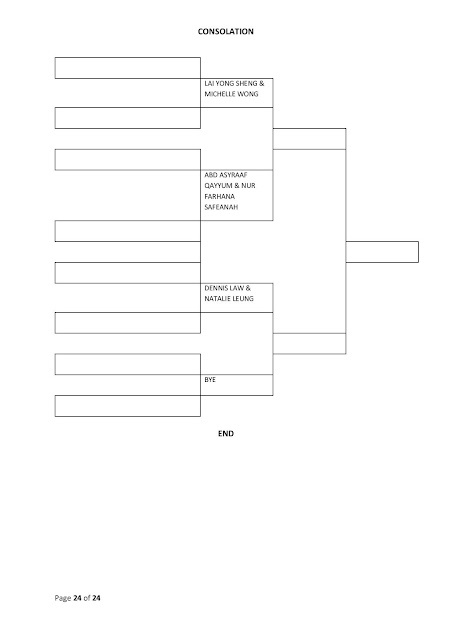 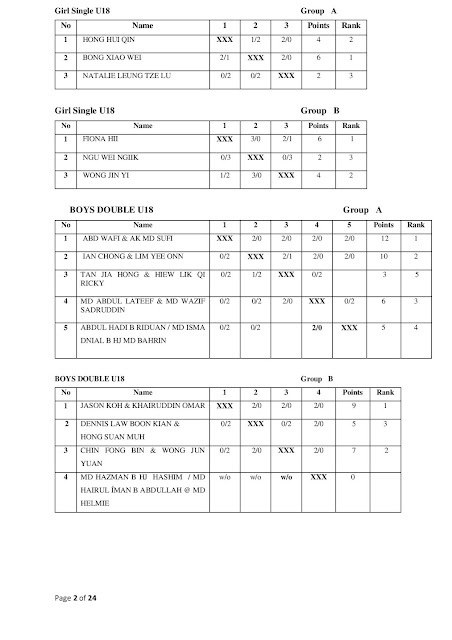 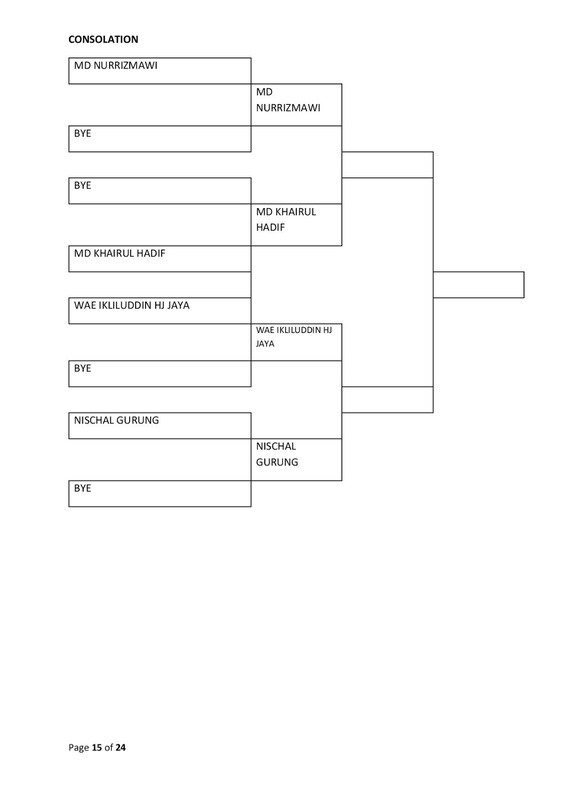 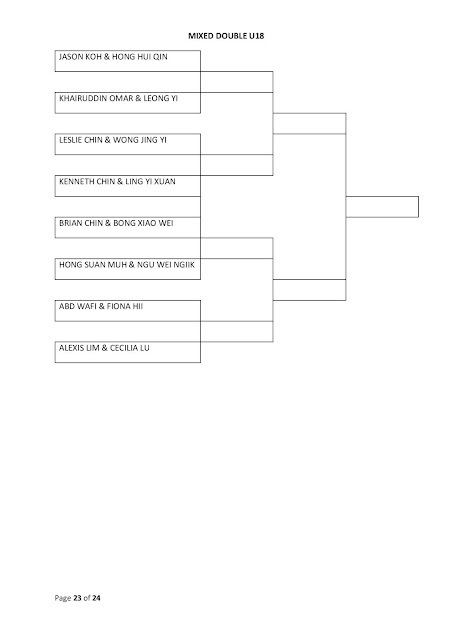 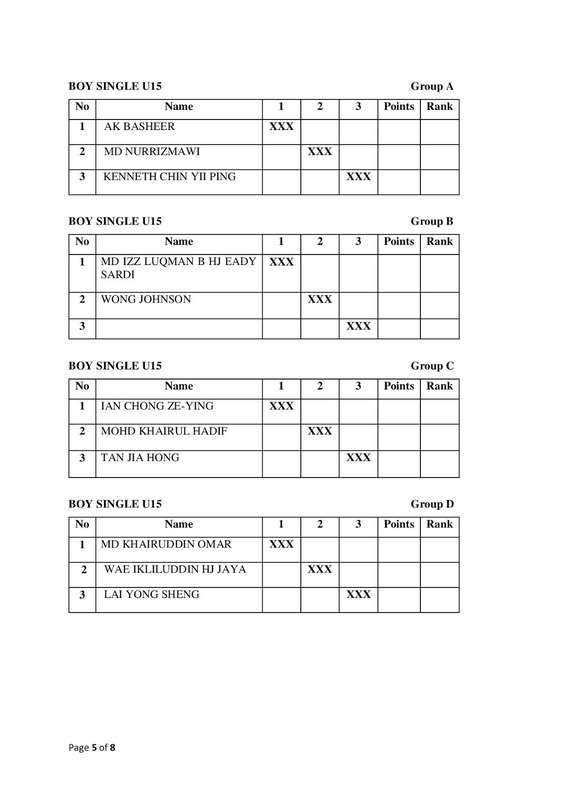 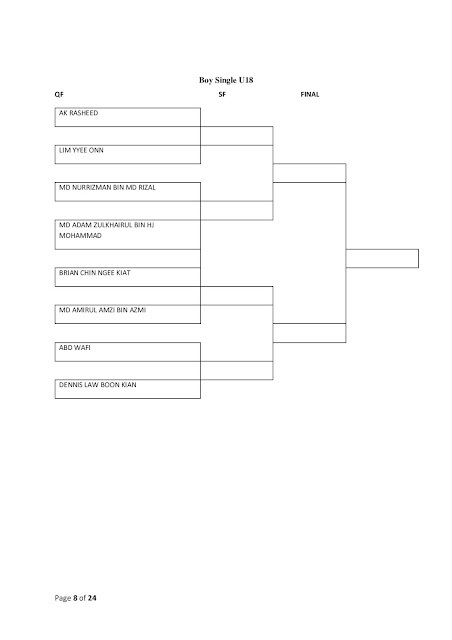 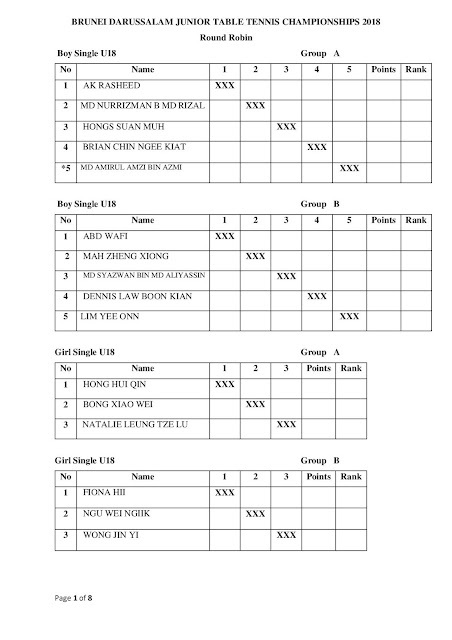 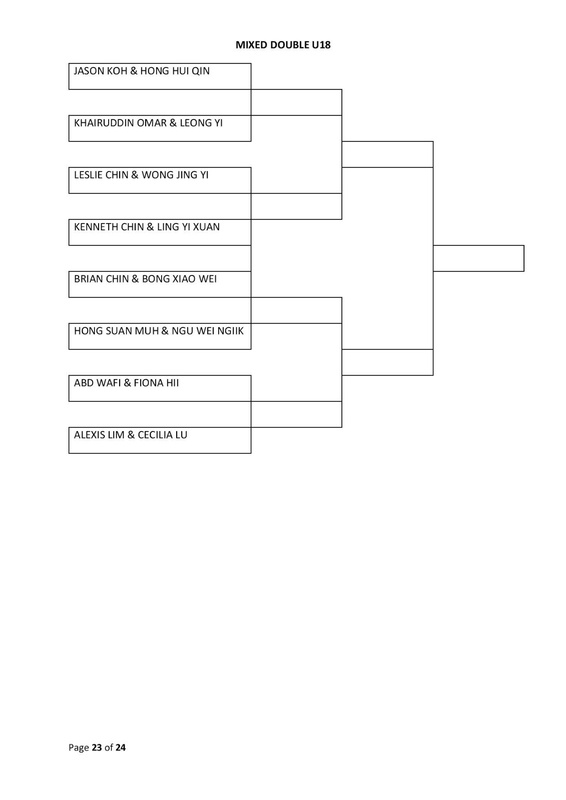 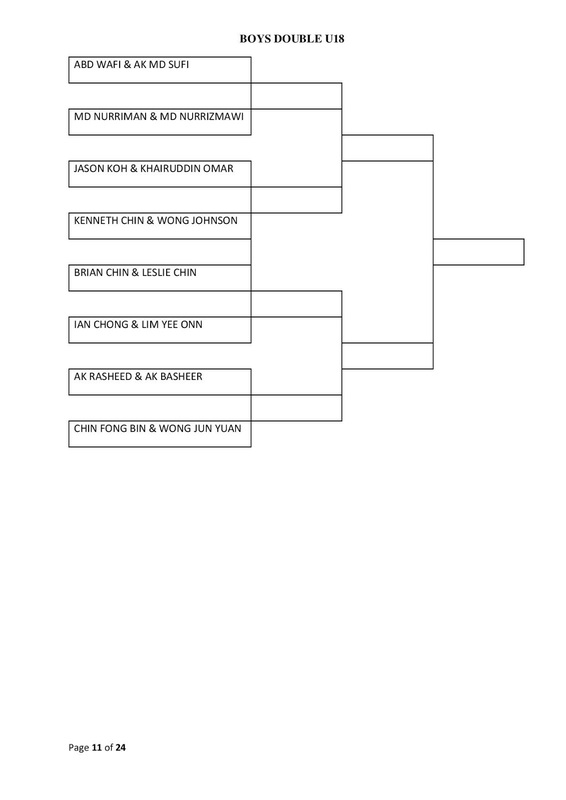 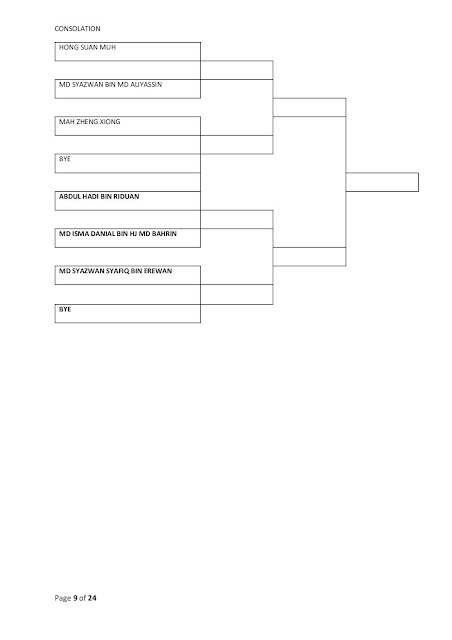 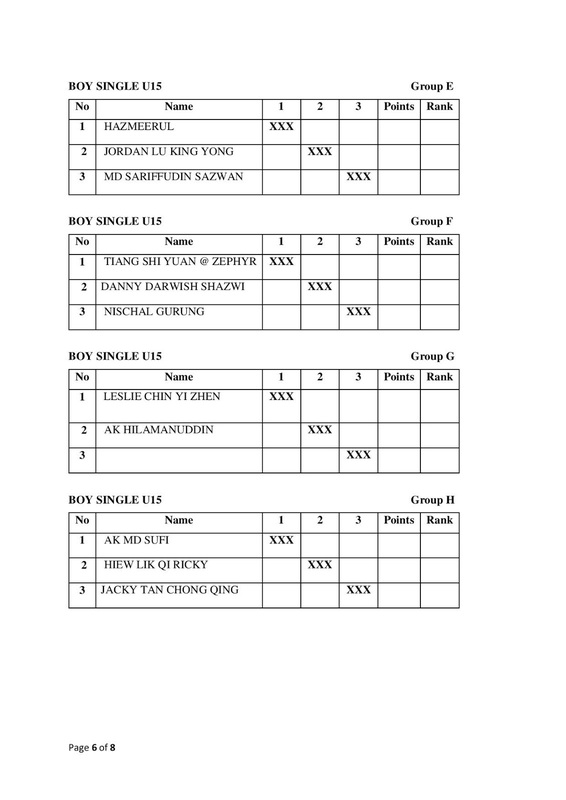 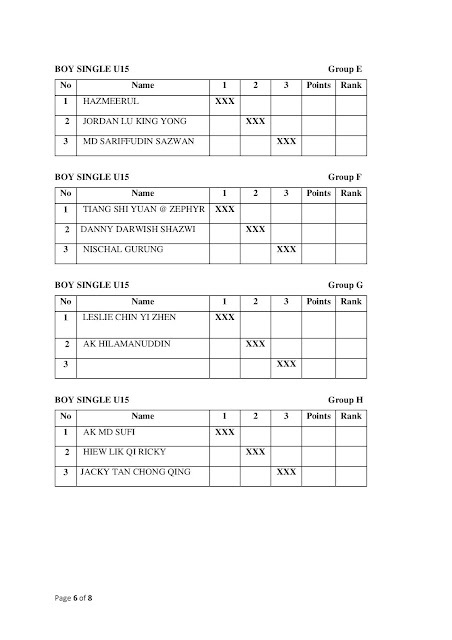 Please be advised that the Draw for the U15 Boys Singles Event has been redrawn. 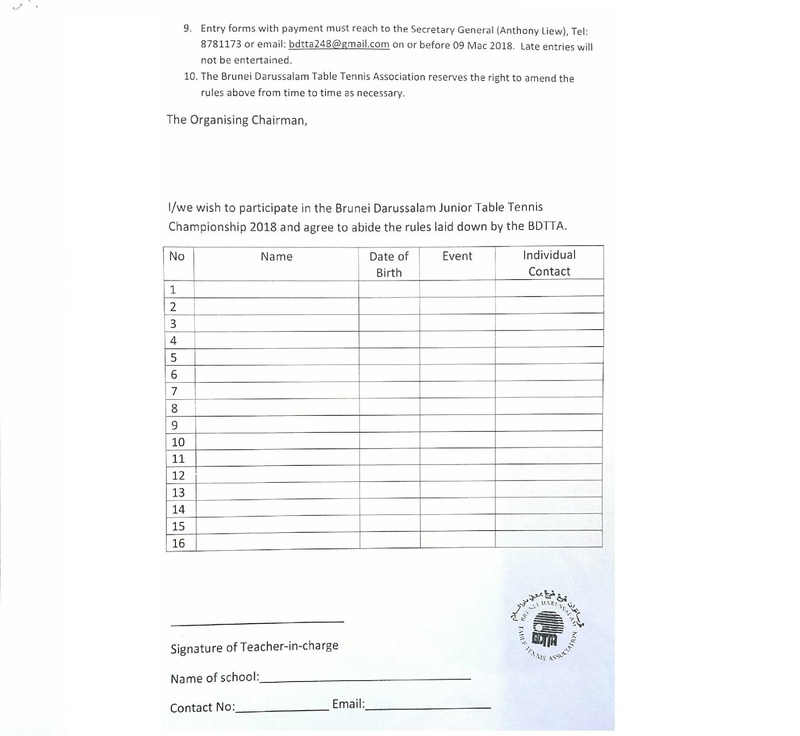 Please see below for changes.